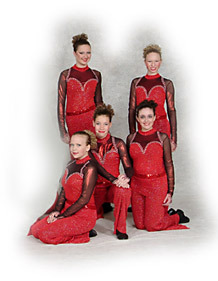 Mauri's School of Dance, Inc. uses age as a starting point in placing children in the appropriate class level. Naturally, previous experience is also a factor. We strive to make class fun and challenging for all of our students and work hard at keeping children motivated while working on their dance skills. Our classes are not unlike your child's class at school. There are varying abilities in any class and students are continually being assessed in order to keep them at the proper level. Parents with any questions please call Mauri or your child's teacher. ONLY STUDENTS TAKING CLASS ARE ALLOWED IN THE STUDIO.